Back in May we chose the one house — out of the 10 or so we looked at — that had an unfinished basement. This also meant that the house was the least expensive of all the ones we viewed. We took a gamble and figured if we could get a loan for the basement remodel, we’d really up the value once it was done. We also enjoyed the prospect of the unfinished basement being like a blank canvas — we could really customize the space to our liking. We took several bids and found a company that is an excellent hybrid between a full-service remodel company and completely doing it ourselves. Dave and I have a few skills when it comes to painting and other small tasks, and by piecing together the contractors, we could have professional work done when needed, and DIY tasks done that would save us thousands of dollars in labor. I have been uploading pictures of the basement progress to a Facebook album that should be visible whether you have Facebook or not. Besides working with the basement, I had to take a trip to Nebraska for 1 1/2 weeks of Reserve work. As is typical in the military, we had to say goodbye to several folks in my office, and say “welcome” to several others. I enjoyed a nice dinner out with a girlfriend from Florida; her family had moved to Offutt AFB this past summer. I also had the chance to see The Butler, a very well-done movie, despite their having cast Hanoi Jane to play the great Nancy Reagan. This trip was unique because I was able to drive from Colorado Springs to Offutt AFB. It was fantastic having my own vehicle with me for the week and a half, but the drives there and back were pretty brutal. Thankfully I had Tina Fey’s audio version of Bossypants to keep me company on the eastward trek, and David Sedaris’ Naked for the trip home. Since Naked is a pretty short book, I was able to hook up some Penn State football through my radio (this was on August 31st) and it carried me the rest of the way home. It was nice to listen to Penn State beat Syracuse! Having a vehicle also meant I could do some SERIOUS shopping at Trader Joe’s! I bought a case of Charles Shaw wine, along with several months worth of TJ’s pasta, baking supplies, and snacks. I was able to pick up maple syrup and salad dressings too — things I had been unable to do when I had to fly back and forth. I am hoping that’s my last trip to TJ’s like this, there’s planning to open THREE Trader Joe’s stores in the Denver metro area in early 2014. 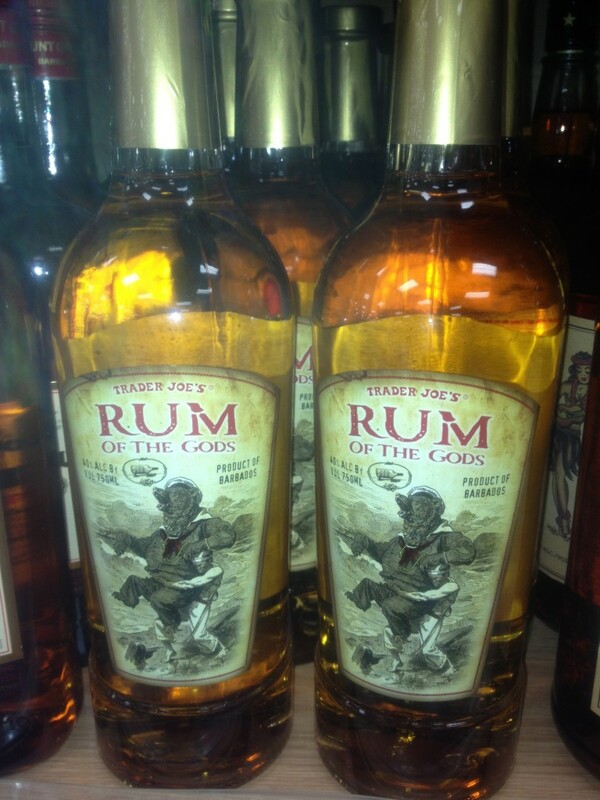 I didn’t buy this, but I did get a kick out of all the TJ’s liquor labels. I did pick up some pre-mixed margarita that we enjoyed 48 hours later at a friend’s house for Labor Day. 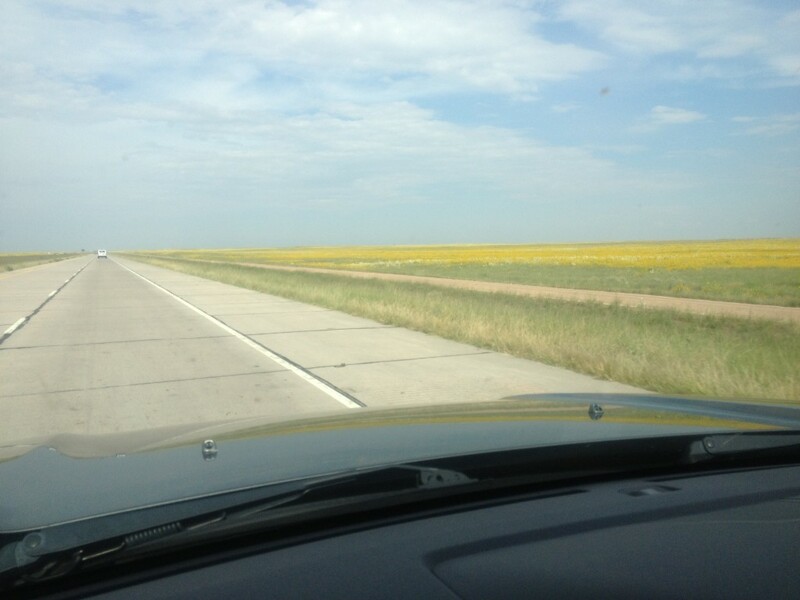 North Platte, Nebraska is the approximate midway point on the trip. I stopped for dinner there both on the 22nd and on the 31st. 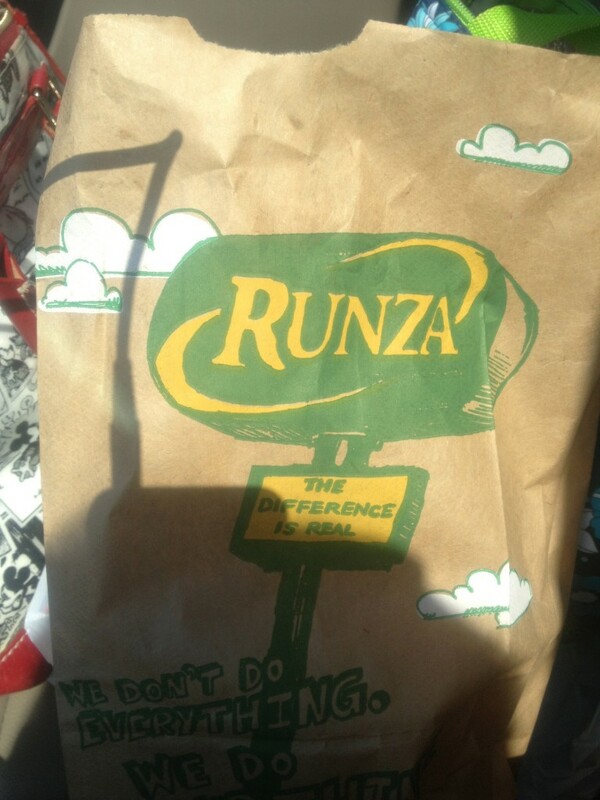 On the way home, I stopped at Runza and picked up a pile of sandwiches for the boys. When I got home from Nebraska…about 2 hours after I pulled into the driveway…we got to meet our sponsor cadet, a 4th class named Rob. We had dinner with him and his parents and we all seemed to get along really well. For those who know me well, you know that I’m all about getting to know a community to its fullest. So of course with Rob it’ll be no exception. This young man is polite, very kind to our boys, and enjoys video games and science/physics as much as the rest of us. We look forward to giving him a home away from home (when the basement is finished) and showing him around Colorado so he can get to know this part of the country. So there’s my month of August in a nutshell — the part about the kids starting school on August 19th is in another post. Things seem more calm in September. I have a couple events up my sleeve that I might be able to write about when I have more information. Jacob’s birthday…and my birthday…are coming up too.